Hello, I’m Richard Allen and I would like to welcome you to the Christchurch branch of Green Square. Opening a Green Square branch in such a beautiful part of the country, where I’m able to offer Renewable Energy Solutions to homeowners that will help look after our environment, is extremely important to me. We can offer you an estimate showing product costs and installation and also show you the annual payments you will receive with the Renewable Heat Incentive, with ongoing savings over a 7 year period. I know how difficult it is to navigate through the renewable technologies available, selecting the best solutions, to meet your heating and domestic hot water needs. Please know that I’m here to help guide you through this process, allowing you to make the best choice when considering renewable energy technology for your home. It’s also important to understand the RHI (Renewable Heating Incentive) and F.I.T (Feed in Tariff) available for each of the technologies. This is something that I would be happy to discuss with you. If you’re interested in the benefits of renewable energy, then please get in touch. We look forward to hearing from you and welcoming you to our store. Green Square Christchurch offer a helpful and informative experience when shopping with us. Our Energy Showroom offers a way to view our products in a unique setting, which we are sure you will enjoy too. We are experts at understanding the importance of a sustainable future and want to help our customers understand our products in a clear and simple manner. If you are wondering what it takes to become more self-sufficient, we have the answers for you! Green Square Christchurch like to make sure our customers feel like they are making the right decisions so we ensure that our staff can offer great advice. This starts from your initial consultation, to the installation of your renewable energy products, all the way through to our highly efficient after sales teams, providing confidence in anyone who invests. The Renewable Heat Incentive (RHI) is a government led scheme to reduce the carbon footprint. It can help lower energy bills and you could recieve quarterly cash payments over seven years if you install an eligible renewable heating technology to become more self-sufficient. 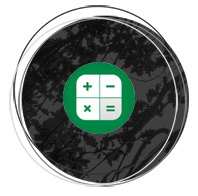 By installing Green Square products you will be eligible to claim a fixed income for every kilowatt hour of heat you produce. The average household uses around 15 to 20,000kWh of heat a year, the RHI pays cash incentives directly to the customers, that could mean thousands of pounds in your pocket! Green Square Christchurch continue to pride ourselves on our services provided to our customers. From first discussions, to final detailed quotations, to full after sales support – we want to ensure confidence in our experience and renewable energy products. We provide your designs and surveys for new build customers, conducted by experienced and qualified personnel, available at our Christchurch showroom. Qualified advisors provide help and information throughout your buying experience. We will guide you through the Renewable Heat Incentive schemes if you have any queries. After sales services provide help in the long term – we want to ensure Green Square provide the most positive experience possible. WE OFFER GREAT ADVICE ON RENEWABLE TECHNOLOGIES TO HOUSEHOLDS, PROPERTY DEVELOPERS, COMMERCIAL BUSINESSES AND ARCHITECTS. OUR EXPERTISE WILL ENSURE YOU MAXIMISE THE BENEFITS OF GREEN TECHNOLOGY. 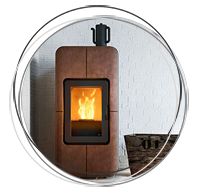 Our stylish product range includes Biomass Boilers for both domestic and commercial use, a contemporary range of MCZ Biomass Stoves, Solar Thermal, Solar PV, Air Source Heat Pumps, Ground Source Heat Pumps and the impressive Thermal Heatbank. Biomass boilers burn wood pellets, chips or logs to provide heating in one room, or to provide central heating and boiler systems. Biomass stoves burn compressed wood or pellets to create heat. They are fully programmable using thermostats and time controls. Heatbank Thermal store links other renewable energy products to store the excess and use when required, forming the ultimate complete heating system. We had a great interview and full feature in House Magazine. We would recommend calling beforehand if you are making a specific trip to see us so we can ensure a qualified member of staff is able to give you immediate information and attention.